Before her presenting duties, Jennifer Hudson posed on the orange carpet for Nickelodeon's 2019 Kids' Choice Awards yesterday evening(March 23rd) at the USC Galen Center in LA. Jennifer's style isn't consistent but I liked the HANIFA white top and the 'Ava' playful orange, side feather pants that she wore. This ensemble had potential but due to fit issues and the styling, it fell flat. The top is fine because I actually like it more on JHud than the model. However those pants fit poorly on her and I think pumps or sandals would have been the ideal shoe choice. But then again, the boots could have worked if the pants were hemmed. 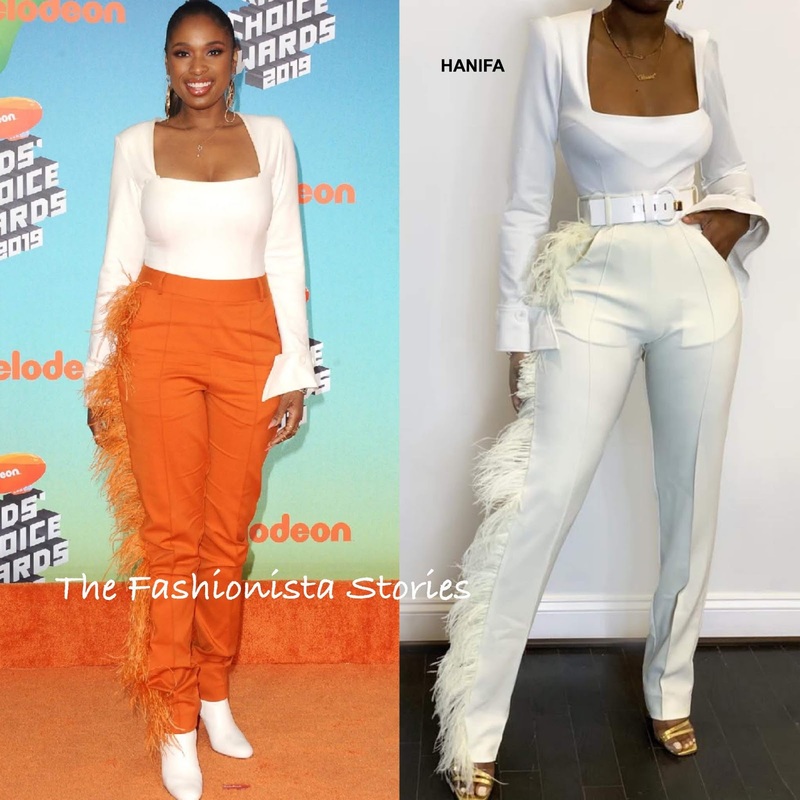 What do you think of JHud's ensemble?